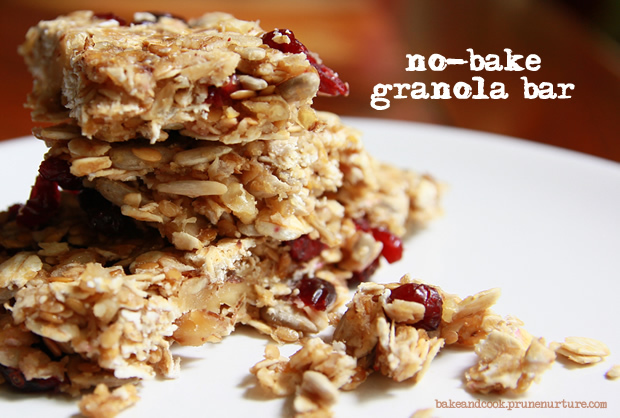 I first saw this no-bake granola bar on my friend’s Facebook and I asked her for the recipe. I tried a baked granola bar a few months back and this was my first attempt making no-bake granola bars. As the ingredients are mainly dry, the soaked flaxseeds and honey help to bind all the dried ingredients together and best to keep them in the fridge for at least an hour. Baked or non baked for me? I prefer the no-bake granola bar – it is chewy, tasty and definitely a healthier choice. 2. Mix in the rest of the ingredients together with the rolled oats and wheatgerm. 3. Pour the mixture onto a tray lined with baking paper and press the mixture to keep them together. 4. Put the tray in the fridge for one to two hours for the granola bars to set and they will be ready to be served.